Contact the G&G Sales Team if you need assistance processing reservations online. Still have a question? We're here to help! Hello and welcome to Grape and Grain Tours. 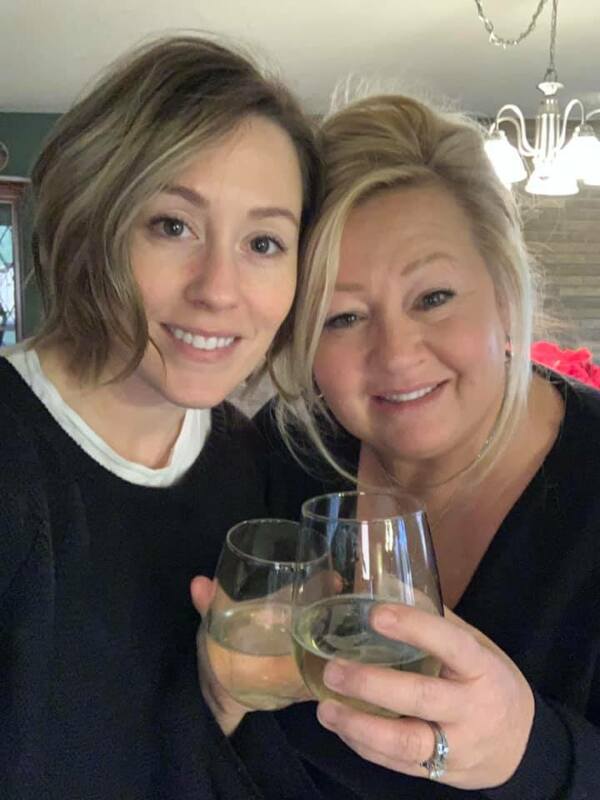 My name is Kim Knuth and pictured here with me is my daughter and new business partner, Ashley. Having lived in this area my whole life, I’ve had the pleasure of watching how the wine and brewery industry has had a positive impact on our local economy. You probably didn’t know this, but Michigan is now the 4th largest wine producing state in the country and ranks 5th in the nation when it comes to breweries. Because of my love for Southwestern Michigan and a need for more tourism in this area, I established Grape and Grain Tours in 2013. I consider myself a wine-o, beer savvy kind-of-individual who truly enjoys sharing the inside scoop with folks from out of town and local Michiganders. Being a party planner by nature and a foodie at heart, I carefully selected a variety of charming locations based on highly rated reviews, exceptional service, and award-winning products. Each of our Michigan tour locations has a unique story to tell so whether you are looking for adventure during your getaway from the city or call Michigan home- I know you’ll love our destinations as much as I do. Safety and comfort are priority number one at Grape & Grain Tours. Our 5 star tour drivers go above and beyond for our guests. Just look at their fan base on Yelp + Trip Advisor. Each licensed G&G tour driver is given a background check, drug test, and yearly motor vehicle report review from management. The vehicles they operate are DOT approved, fully insured, and receive routine maintenance and safety inspections. Rest assured, you and your group’s safety and comfort are in good hands. Our drivers help pack up wines, share tid bits of each winery and have been known to take a selfie or two along the way! Known as the Napa Valley of the Midwest, Michigan has become the 4th largest wine producing state in the country and ranks 5th in the nation for number of breweries. I’m beyond thrilled to show you what a day in the life of a Michigander is like. Come experience the charm and bliss of Pure Michigan with Grape & Grain Tours! 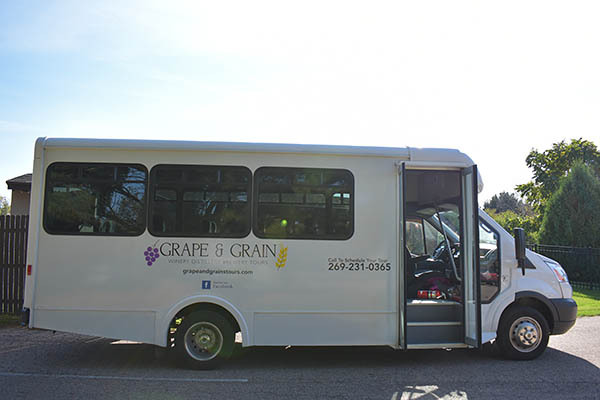 Grape & Grain Tours are from Bridgman, MI. Our hotel partnerships are located in New Buffalo, MI. We are easily located off the i94 Interstate. 90 minutes from Chicago, IL. 45 minutes from South Bend, IN. 3 hours from Detroit, MI.